Our coaching and consulting practice was founded in 2011 to conspire mission-driven women to lead, succeed and thrive in their careers, lives and organizations. Since its founding, our coaches have supported hundreds of people develop themselves as leaders and make significant choices about how to best contribute to the world through their lives and careers. Our team of coaches & consultants are highly skilled leaders in the public and nonprofit sectors as well as certified career and leadership coaches. We are committed to being steeped in the work of social change and human services to keep our finger on the pulse of nonprofit and public sector careers and make our own direct contributions, while also developing other women to be high-impact leaders with a clear and powerful sense of purpose and direction. All Conspire Coaches are highly trained in coaching programs approved by the International Coaching Federation and abide by the ICF's Code of Ethics. ​In 2011 Jen reinvented her career and trained to be a career and leadership coach and founded Conspire Coaching. She committed to serving social and environmental change-making women both individually and through the development of deeply connected small group coaching communities. Her coaching work holds a space for individual, organizational and communal transformation -- unleashing the potential of communities of women to change the world. Jen came to coaching background in nonprofit management and nonprofit management consulting. As a leader at Sponsors for Educational Opportunity in New York and in London, and as a Senior Project Manager at Dare Mighty Things, Inc, the common link throughout her career has been her commitment to developing others as professionals, leaders and the human beings and to help open new educational and career opportunities for underrepresented populations. Jen believes that we are in a moment of transforming the way we work, live and lead so that the best ideas for solving social problems, and the best leaders to implement these ideas, can emerge. 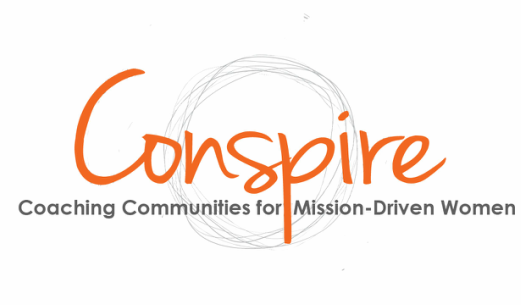 Her coaching practice, Conspire Coaching, is devoted to being part of this mission. As Senior Project Manager and Senior Consultant at Dare Mighty Things, Inc., Jen led teams to build the capacity of hundreds of nonprofit organizations across the country. Jen and her team provided coaching to executives and project leaders at these organizations to improve management and execution of critical projects serving low-income communities. Jen also spearheaded virtual affinity networks of nonprofit professionals across the country providing resource sharing, coaching, and collaboration. To do this work, Jen drew on her extensive nonprofit leadership experience designing mentoring and volunteerism programs. Through her work at SEO-London and SEO-USA Jen coached hundreds of young people of color and women to leverage internships to secure competitive positions in fields including investment banking, corporate law, philanthropy and information technology. Jen is an expert in developing professional mentoring and sponsor relationships, as well as robust peer networks, that are critical to obtaining offers and advancing careers. Jen also led initiatives to support young people of color from NYC to graduate from high school and successfully complete college. Jen completed a Masters in Public Administration (MPA) from the City University of New York and a BA from the University of Maryland. She completed an intensive year of service and communal living through AVODAH: The Jewish Service Corps. Jen received her coaching certification through the Coach Training Alliance. Jen is the proud mother of four kids - a 7 year old boy and twin five year old girls and one one-year old daughter. She is committed to fulfillment and success as a professional and as a mom. Jen grew up in Sharon, MA and Rockville, MD. Her career has taken her from Manhattan, to Park Slope in Brooklyn, NY, to Washington, D.C. to London, UK, to Arlington and Alexandria, VA and she is currently in Leeds, UK. Jen continues to work with clients in all of these places and around the world. For more on Jen's professional background, please see her LinkedIn profile. and Amy Haynes is an alumna of Women Leaders Emerging and has led three WLE cohorts since joining the team. She will be leading four cohorts in the Fall of 2015! Amy is a passionate connecter, coach and capacity builder who grew up in rural Appalachia. She launched Amy Haynes Coaching & Consulting, LLC in 2013, and joined the Conspire Team by piloting a WLE cohort for Social Workers and leading 3 additional cohorts. Amy is a MSW and Certified Coach, and an alumna of Emerging Woman Leaders! In her most recent role as Program and Community Outreach Manager at the EZRA Multi-Service Center in Chicago, Amy supervised and managed three social service departments and led organizational community outreach efforts. Over the past ten years, Amy has worked in the nonprofit and social service sectors in the areas of affordable housing and homelessness, family welfare, and sexual violence work. Amy followed her passion for service and justice work to the University of North Carolina at Chapel Hill, where she completed a Master of Social Work, specializing in Management and Community Practice. She trained to be a coach with the Coach Training Alliance. Amy’s background in community organizing and leadership development informs her belief that we are more powerful in community and capable of transformative change. Working with Amy has been a great opportunity to set aside structured time to develop—and pursue!—my longer-term career goals. Charting a satisfying career path can be a daunting process, and it’s immensely helpful to know that Amy’s in your corner to listen to you, help you identify and clarify your goals and values, and keep you motivated as you face challenges. If you’re looking to make a career move, Amy is your go-to woman. See more testimonials about Amy. Coaching is an inquiry based modality in which coach and client are equal partners in a creative conversation and collaboration. Career coaching, clients work with a coach to clarify their values, missions and visions, skills, strengths and abilities to then identify possible next career paths. Clients also work with career coaches to evaluate and position themselves for various career paths. Leadership coaching requires the same evaluation of values, strengths, etc, so that the coach and client can identify limiting believes that hold them back from being the most effective leader. Leadership Coaches also help clients identify keystone strengths and habits from which to build. Leaders who work with coaches are intentional in developing their approach and greatly increase their ability to influence, develop others, and think strategically. All Conspire Coaches are highly trained through courses approved by the International Coaching Federation (ICF). The ICF has an excellent FAQ on what coaching is. All Conspire Coaches are bound by the ICF Code of Ethics. And we are listed in the System for Award Management (SAM).